The developments at an international level and in the two countries, and the situation in the communist movement were examined and in the meetings of the Communist Party of Mexico with the Communist Party of Greece during the proceedings of the 6th Congress of the former in Mexico City, 3-5 August 2018. In this framework, the following Joint Statement was finalized and published. on September 1, 2018. “1. 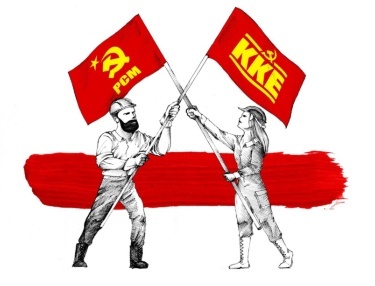 The Communist Party of Greece (KKE) and the Communist Party of Mexico (PCM) are linked with strong bonds of comradeship based on the worldview of Marxism-Leninism and the principles of proletarian internationalism, their common belief that socialism-communism is the only way out of the capitalist barbarity, is a mature and necessary demand of the times. Today, there are possibilities for all workers, the producers of wealth, to have a job without the nightmare of unemployment, to work less hours enjoying the achievements of science and technology, to a better standard of living, with a high level of exclusively public and free education and corresponding health and welfare services, while capitalism condemns millions of workers to exploitation, poverty, migration, the horror of war, to becoming refugees, insecurity. The fundamental contradiction of the system between the social character of production and labour and the capitalist appropriation of its results is sharpening, the decay of the exploitation system is generalized. In practice, it is demonstrated that capitalism has exceeded its historical boundaries and the necessity for its overthrow and its replacement by socialism-communism, a superior social system emerges, where the socialization of the basic, centralized means of production and central planning will allow the workers to meet their modern needs. 2. The KKE and the PCM devote all their forces to strengthening the class struggle, the struggle of the working class, the poor peasants, the self-employed of the city, the youth and the women, for their rights and modern needs. They stand at the side of immigrants, of all oppressed people, condemn racism and xenophobia, the “wall of shame” and other provocative measures taken by President Trump, the American government against Mexicans and other immigrants living in the United States. Our parties come into conflict with capital, condemn the anti-people political line of the bourgeois governments of both countries and the imperialist unions. They decisively struggle against anti-communism, state and employers’ repression in popular struggles, persecutions against those who struggle for the rights of the working class, the popular forces. 3. The developments in the two continents, and internationally, are characterized by the intensity of the inter-imperialist contradictions, the antagonisms between the USA, the EU, China, Russia, other capitalist powers for the control of energy and other natural resources, of the markets, of the transport routes. The difficulties of the capitalist economy, the realignments brought about by the law of uneven capitalist development, sharpen the competition of the monopolies, the bourgeois states and the international inter-state alliances, push the re-establishment of imperialist alliances, trigger trade wars. They form the basis for the intensification of imperialist interventions, for local and regional warfare and conflicts, pose risks for a generalized imperialist war. 4. War is the continuation of politics by other, military means. For this reason, the working class and the popular strata must not show any tolerance towards the bourgeois governments, either in conditions of imperialist peace or imperialist war. The Communist parties must prepare the labour movement, orientate it so that the struggle against the bourgeois political line, against the imperialist war, is linked to the struggle for the final overthrow of capitalist barbarity, the seizure of workers’ power. 5. The KKE and the PCM struggle for the regroupment of the labour movement at a national, regional and international level. For the strengthening of the International Communist Movement, the unity and the coordination of the struggle. They support the theoretical journal “International Communist Review” and its aims, the creation of a distinct Marxist-Leninist pole. They collaborate in the International and other Meetings of Communist and Workers’ Parties and, together with other Communist Parties, will continue their efforts to strengthen the unity and the struggle of the communist movement, for its revolutionary regroupment. 6. The revolutionary regroupment of the International Communist Movement (ICM) is a crucial task for the overthrow of capitalist barbarity and the construction of the socialist-communist society. It demands the decisive strengthening of the CPs in the working class, in the workplaces, in the enterprises and sectors of strategic importance, by taking a leading role in the class struggle. At the same time, an essential dialogue between the CPs is needed in order to overcome the positions that dominated the international communist movement in the past decades as regards the “intermediate stages” between the exploitative system and socialism and the pro-people management of capitalism, in order to form a single revolutionary strategy. 7. The KKE and the PCM reject any support for or tolerance towards any bourgeois management governments. Recent experience from both Europe and Latin America confirms the anti-people role of social democracy, old and new, reveals that the political of the so-called “left and progressive” governments has been a vehicle to promote the profitability of monopolies, to prepare and enforce harsh anti-people measures, the perpetuation of the exploitation of man by man. The two parties fight against the so-called socialism of “the 21st century”, which has nothing to do with the principles of socialism, is a variant of bourgeois management, has caused damage to the workers’ movement and leads to its disarmament. 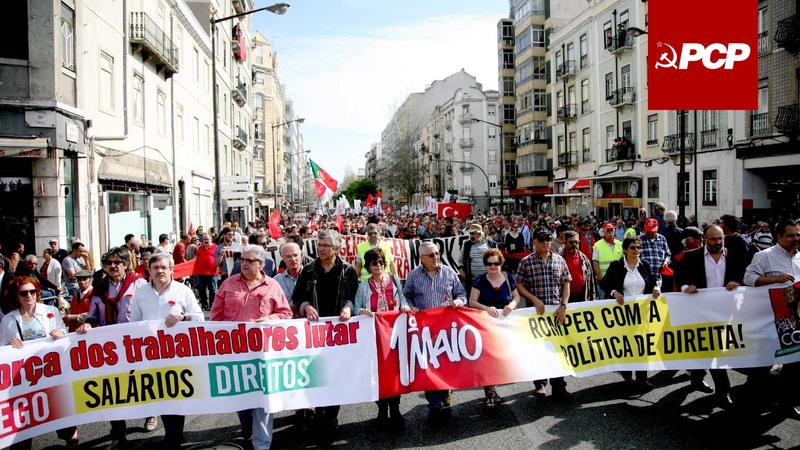 Our parties are in a decisive confrontation against social democracy and opportunism, against international and regional centers where they coordinate and collaborate such as the Party of the European Left (PEL) and the Sao Paulo Forum. 8. 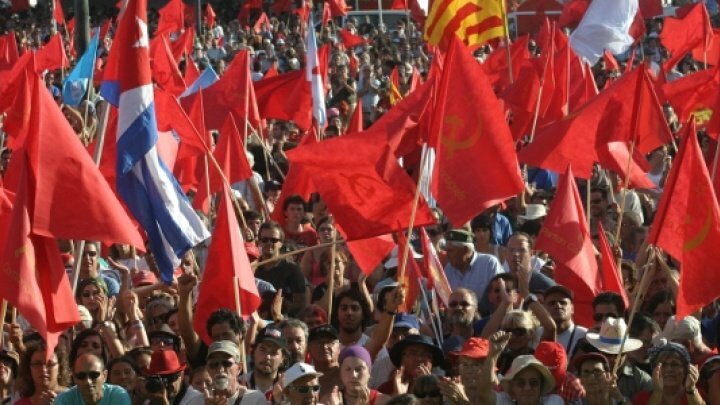 The PCM and the KKE devote all their forces for an essential discussion in order for the International Communist Movement to overcome controversies, problems arising from the dead-end strategy of the so-called “transitional stages”. The broad approach towards the immature working class-popular masses is not done through the formation of an alternative transitional stage but with the consistent anti-capitalist – anti-monopoly line of struggle for workers’ power, for socialism-communism. To take a crucial step forward in aligning the ICM strategy with the character of our time, an era of transition from capitalism to socialism; the struggle for socialism to put its seal on the daily activity of the communists, their pioneering action on the organization the struggle of the working class concerning all its problems, to overcome the dangerous illusions of the so-called parliamentary road to socialism. For the participation in institutions such as the bourgeois parliament to serve the need for mass information and enlightenment of the people. 9. The KKE and the PCM are fighting against the EU and NAFTA, which are unions of capital against the people’s interests, as well as any inter-state union based on capitalist production relations. They reject the EU-Latin America strategic partnership, the bilateral free trade agreements. They struggle against NATO and its expansion, against foreign military bases. 10. The KKE and the PCM defend the revolutionary traditions of the communist movement, the great contribution of the USSR and the other countries of the socialist construction in the 20th century. The counter-revolution in the USSR and the other socialist countries does not change the character of the era, which is a period of transition from capitalism to socialism. The two parties draw lessons from the counter-revolution, the capitalist restoration and their painful consequences for the peoples, the erosion of CPs in power by opportunism, the disastrous retreat of socialist production relations and the expansion of commodity relations, the violation of the laws of the socialist revolution and construction in the name of the so-called national peculiarities. The KKE and the PCM defend the Cuban Revolution and its achievements, express their solidarity with the Cuban people against the US economic blockade and the multi-faceted interventions of the imperialist powers in Cuban internal affairs. The two parties express their solidarity with the struggle of the people of Venezuela and Colombia, the peoples of Latin America. We continue our struggle with faith in the just cause of the working class and its historical mission. We send our warm militant greetings to the working class, to the people’s forces in our countries, all over the world. NextHow Do Marxists View the Class Struggle?